JayeL Audio | Beck – "Timebomb"
Home » Uncategorized » Beck – "Timebomb"
Beck recently caught my ear again, when he released a new single, “Timebomb”. 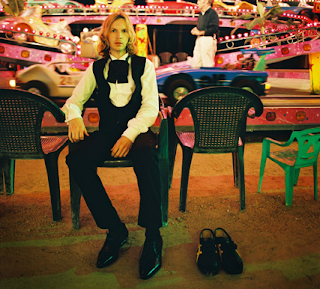 Though I hadn’t paid much attention to Beck’s career, his last album, The Information, hooked me with an experimental, new wave sound. Similar to hits like “Cell Phone’s Dead” and “Nausea”, “Timebomb” continues the trend with futuristic beeps and kinetic energy abound. I wasn’t intrigued the first time I heard it with its non-sense driven chorus, but it grew on me with the tune’s bouncy, progressive beat. Clearly, lyrics like “We got a timebomb/We got a timebomb/Na na na na” aren’t exactly ground breaking, but synthesized chants mixed with hand claps and a bass guitar make for a catchy fun, song. Perhaps one of the more interesting notes about the single, is that it is a single. Meaning, that is isn’t attached to a Beck album past, present of future. It is a stand alone song released exclusively (at first) on I-Tunes. With the state of abysmal record sales plaguing the record industry, you have to wonder if many artists will release more singles and EPs rather than full length albums. You can’t have a record sales showdown every Tuesday….or can you? ?